Building a great User Experience for your iOS App development. Mobile phone is such a device that has made everyone addicted towards its features and usage, especially when there is a lot change in the upcoming technology. Mobile phones have become an extended part of our bodies, without which our work is incomplete. In this digital world, mobile phones are used for almost everything, from time information to office work it is utilized everywhere. The quality of an application is what matters to influence the users and the customers. It is the user interface and the user experience that styles the look of an app. iOS app development company in Noida like ours understands this requirement of the audience and changing digital trends. 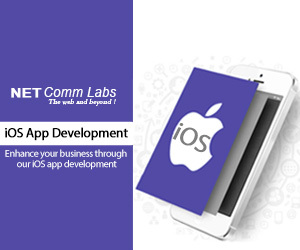 Our iOS app development company gives its users what they want i.e. fast loading time, easy navigation, easy access and smart user interface, etc. Mainly a thorough research is carried out by the iOS development companies to create an effective UX design. Simple navigation is the hit point of the apps, as it gives easy understanding to the users regarding the flow. Thus, iOS app development company should focus on what is required on the screen. No need to put unnecessary controls, it confuses the user. Its better to customize the control to integrate them with the app’s graphic style. The content should be clear, crisp and concise. The content displayed should be to the point to keep the users updated or to guide them properly. Excess content makes it difficult for the users to understand and crowds the space, creating bad user experience. Since it is a user experience, thus, speed is an essential aspect of UI/UX design. To attain a great user experience, it is necessary for an iOS app development company to develop an app with fast loading speed. A good application loads within seconds, enticing users to continue with the app. The longer the app takes to respond or load, the more it tends to lose the users due to longer waiting span. This feature could be a great catcher for the users. Mobile data is not a problem these days, but network is. What if at the middle of something important your mobile network is unavailable due to which internet is unavailable? This can create huge frustration and irritation while doing any task. Thus, it is important to create an app which could work offline as well, not necessarily the entire app but some important side functions or required actions.